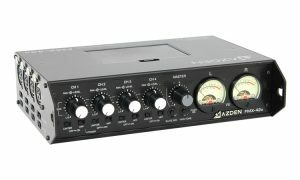 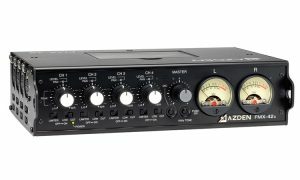 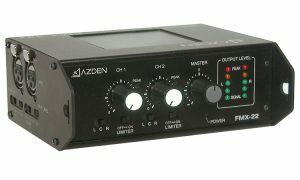 Azden FMX-32a now uses the same circuit topology as the more expensive FMX-42 series mixers. 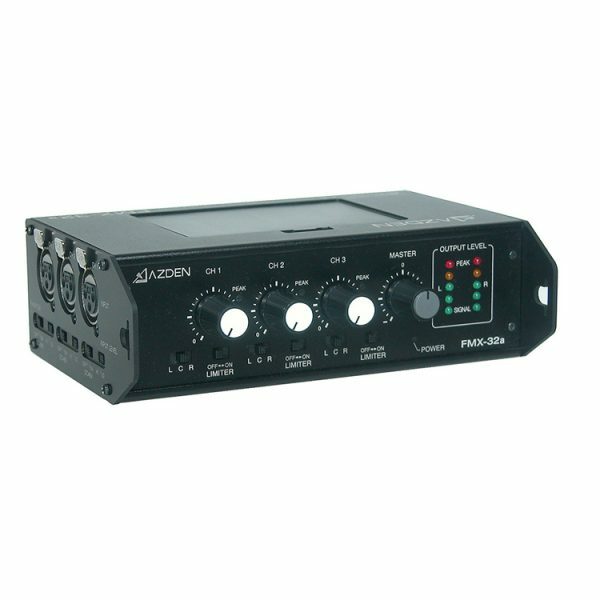 With improved signal to noise ratio and wider frequency response the new FMX-32a is designed for the demanding needs of Professional Videographers. 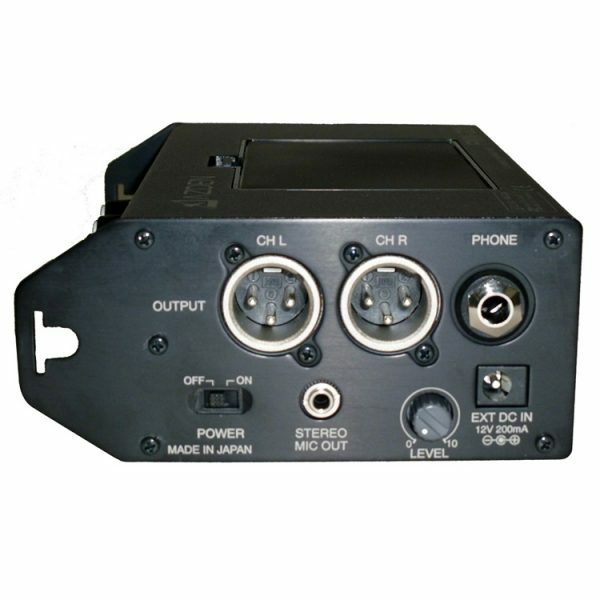 The small, all metal, battery operated (6-“AA”) mixer can be attached directly to the camera with supplied hook-and-loop fastener. 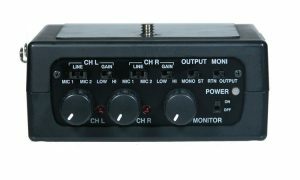 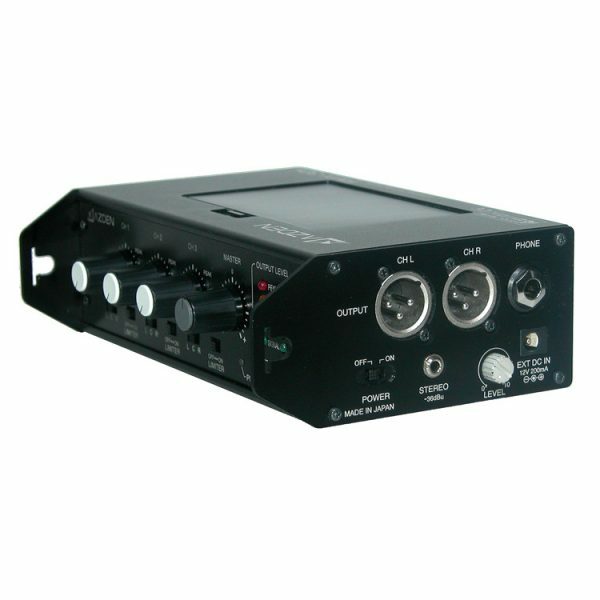 The FMX-32a has the following features: 3 XLR microphone inputs, 3 input level controls, master level control, switchable phantom power and limiters for each input, channel panning switches (L-C-R), stereo XLR and mini outputs, 5-step LED array for easy signal monitoring, 12V DC input for external power (optional BC-27 power supply), and a 1/4″ monitor headphone jack with level control.